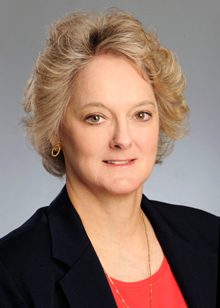 Linda Womack served as Emory's director of state government affairs for 15 years. Among colleagues, she is remembered for her fierce commitment to the university and her unwavering dedication to her job. Photo by Jack Kearse. A campus memorial service for Linda Womack, a longtime lobbyist and Emory advocate, will be held Thursday, March, 12, at 11 a.m. in Cannon Chapel. Womack joined Emory in 2000 as director of state government affairs, with a focus in the area of health care. In that role, she served as a dedicated voice for Emory, meeting with elected officials on the state level concerning issues that affected academics, medical research, higher education, health care, students and patients. She died Feb. 28 after a brief illness. Service attendees may choose from three public parking lots, which include Oxford, Fishburne and Peavine parking decks. Visitors should plan to factor in 15-20 minutes of walking time from each of the parking decks to the Cannon Chapel, which is located at 515 South Kilgo Circle. For directions or more information, visit here. Those who wish to honor Womack with a memorial gift are invited to contribute to her home church, Fairhaven United Methodist Church, P.O. Box 1096, Millen, Georgia, 30442.